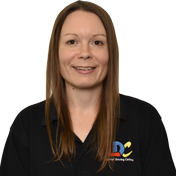 Hi, I'm Rachel and I am a fully qualified Government Approved Driving Instructor (ADI). I absolutely love my job and am proud to say that I was only 3 marks away from being awarded the highest possible grade (grade A) in my latest Driver and Vehicle Standards Agency (DVSA) approved driving instructor standards check. This is a measure of my level of competence as a driving instructor. I am also proud to say that I belong to an elite group of ADIs who successfully completed their driving instructor training by passing all three parts to the qualification process first time. I chose to work with LDC because everybody is different and the LD System of driving tuition allows for flexibility in lessons so that you learn to drive safely at a rate that suits you. The system teaches you real driving skills, not just how to pass the test. My aim is to deliver training of the highest standard and to make every lesson as enjoyable and as productive as possible. Don’t worry if you have a few nerves; I firmly believe in making pupils feel at ease and so lessons are always conducted in a calm, friendly and relaxed manner. Prior to becoming a driving instructor I held several managerial positions in the retail sector after graduating from Aston University with a 2:1 degree in French with Translation Studies. Over the years I have had a considerable amount of experience in dealing with people. This is one of the reasons why the job of driving instructor appealed so much – the interaction with pupils that it would involve, and the chance to see people develop their skills and achieve their goals. I also liked the idea of becoming self-employed and being my own boss. This is what I am now and it was the best decision I ever made.